It’s a great pleasure for me to join you tonight. The history of London stretches back over 2000 years. By contrast, Shenzhen is a young city whose history started a mere 32 years ago. Today, London and Shenzhen are coming together. What makes this possible is a shared big business interest. This is the fashion industry. London is known worldwide as the fashion capital. Also London Fashion Week ranks as one of the ‘Big Four’ fashion weeks worldwide. In creativity and fashion London never fails to impress people with its vitality and creativity. Shenzhen is home to the most advanced sectors of the fashion industry in China. Shenzhen is where there is the biggest concentration of Chinese fashion brands and manufacturers. 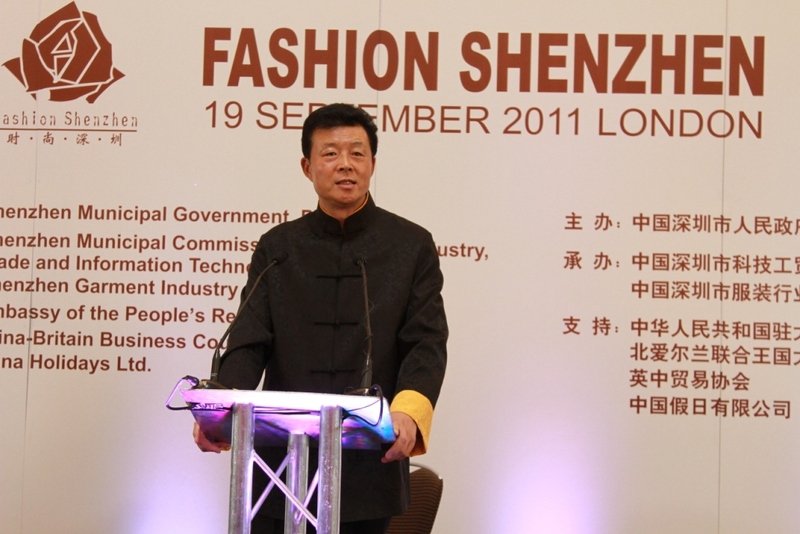 Shenzhen is leading the way in China for research, development and design in the fashion sector. · Over 3,000 garment manufacturers. · More than 800 local brands. · There are around 350,000 people employed in the industry. · And last year, Shenzhen sold 8.9 billion US dollars worth of garment products. I can give you one measure of the strength of Shenzhen’s fashion industry inside China. For every 10 clothing items on sale in high street department stores in Chinese major cities, 5 to 6 are made in Shenzhen. Shenzhen is well-positioned to be China’s ‘fashion and creative capital’. First, Shenzhen is a young city. Just 32 years ago Shenzhen was a tiny fishing village. The transformation into an advanced modern metropolis is a most telling example of how China has been transformed by the reform and opening-up strategy. The phenomenal growth of Shenzhen has been driven by the strength, energy and spirit of a young population. In turn from that youth a creative zest has flourished and thus creativity is always the defining character of Shenzhen. This has produced a powerful foundation for fashion to evolve. The result is a fast developing global centre in Shenzhen of new exciting brands and design. Second, Shenzhen is a tireless pioneer. Here was the first city of China to open to the outside world over 30 years ago. So, Shenzhen has always been a trail blazer for China. The result of that pioneering means Shenzhen is at the forefront of China’s economic reform. In China this leadership is recognized as ‘Shenzhen Speed’! This speed of development and incredible growth are the trademark of the city. It is in Shenzhen that the Chinese people were first exposed to the fashions and dressing styles in the West. In turn Shenzhen absorbed these trends and spread these global fashion influences across China. Third, Shenzhen is advancing as a highly cosmopolitan city. Shenzhen is now an international city of migrants. Its people come from all over China and many parts of the world. Here, eastern and western cultures and ideas blend and inspire each other. It is now a melting point of creativity that has formed a diverse and unique Shenzhen culture. Shenzhen is a window into today’s China. My country has reinvented herself through more than 30 years of reform and opening-up. China’s social and economic development has been remarkable and the changes to her relations with the world truly historic. China is committed to continued national development and rejuvenation at home and helping create a more peaceful, prosperous and harmonious world. This is the 4th time ‘Fashion Shenzhen’ has been held in this world fashion city. 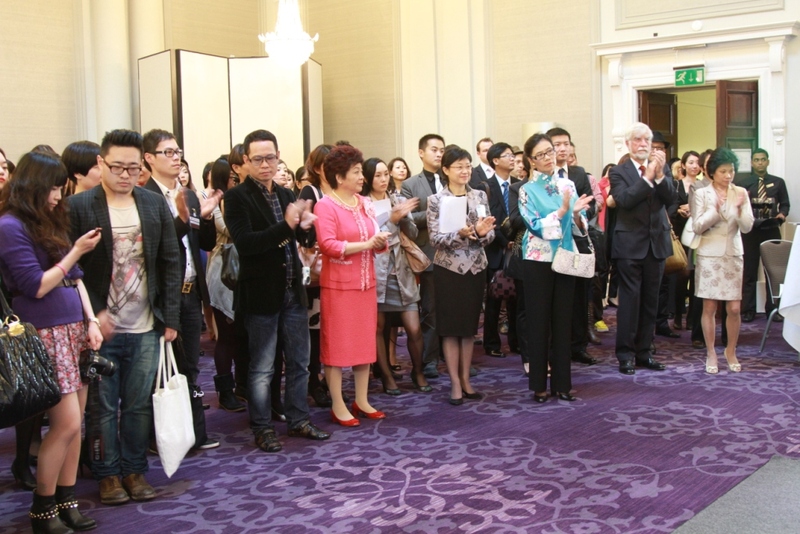 I have confidence that this event will continue to be a showcase for Shenzhen’s fashion industry. In turn it is a great opportunity for Shenzhen designers and manufacturers to be exposed to the influences of international markets and world fashion trends. I expect this event to show China’s rich, inclusive cultural heritage. It will boost China-UK commercial relations. It is also a way to strengthen the understanding and friendship between our two nations. I wish ‘Fashion Shenzhen’ a great success!